Home How is Predictive Maintenance Impacting the Energy Sector? 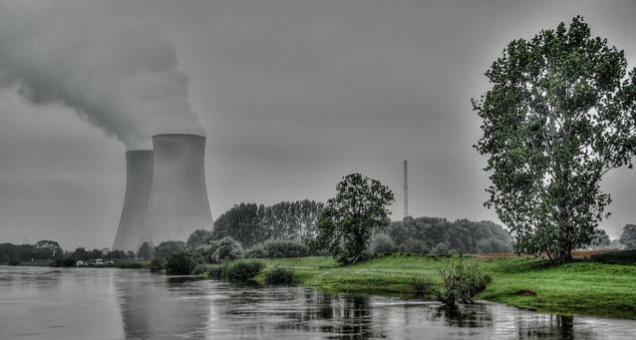 Nuclear energy has been a hot topic almost for the past decade. With all the benefits of being a zero-carbon, no emission energy source, it is still very unreliable and many countries choose to stay away as a prevention method of the next possible apocalypse. However, it appears to be a solution, using a piece of technology already available. Predictive maintenance (PdM) techniques are designed to help determine the condition of in-service equipment in order to predict when maintenance should be performed. This approach promises cost savings over routine or time-based preventive maintenance. How can the nuclear energy industry benefit from this? This helps all the nuclear reactors become a lot more reliable with a significant risk-reduction. Basically, engineers will spend less time being swamped in data and analysis to ensure the safety of the reactor and more time on actually improving the process itself. This all happens due to the early detection of all the problems. Users even can diagnose issues long before they become operational, preventing dangerous future failures. Can this be more cost efficient? Predictive maintenance not only works in theory, it has a real impact on the safety and process management of nuclear reactors. The famous home and business energy supplier called “EDF energy” implemented predictive maintenance across their nuclear and fossil fuel generation fleet, a single catch saved the company $1 million. It has always been our dream as human beings to provide zero-carbon, zero-emission, safe way to produce energy and using predictive maintenance is a close shot of making this dream come true. In sum, predictive maintenance will save time and efforts when taking care of nuclear reactors. Can you think of other engineering challenges that can be solved thanks to the application of predictive maintenance?